Why should I use Ticket System for my Business? Almost every business these days relies on an efficient computer system. Companies attract new customers online, order goods on line, and often communicate with their employees on internal networked computer systems. No thriving business, in current times of great competition and economic uncertainly, can afford to be without their computer system up and running 100% of the time. Even a momentary glitch could cost money and have service implications. Every business, therefore, is looking for some kind of guarantee that their system will be problem free at all times. One way of doing this is for business owners to seek a service provider with expert technicians who closely monitor servers on a constant basis. This will usually ensure that any emerging problems are fixed before they have a chance to affect the company’s business. When searching for Miami computer repair, many business owners find that Telx Computers comes up at the very top of local listings. This is thanks to the excellent reputation that Telx Computers has for their efficient and effective problem-solving. The company is always looking for new ways to ensure that customers will never be let down when it comes to their IT needs. Telx Computers, one of the industry leaders in Miami IT services, announces a new ticketing system to ensure that no problem goes unresolved, and to create a paper trail for true accountability. 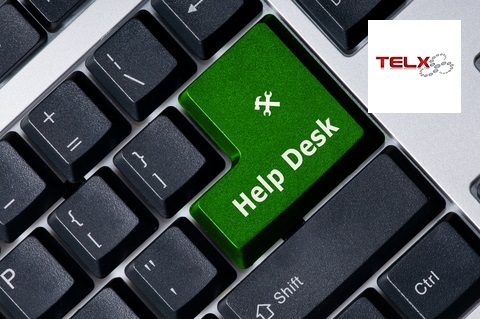 When a customer contacts a Telx computer repair technician to report a problem, the support desk immediately generates a ticket. The information on the ticket shows exactly when the call came in, the nature of the problem, the name of the user, the name of the company and their membership level, and the name of the technician who has been assigned the role of fixing the problem. In addition, the ticket will also state the priority of the job. It is then logged onto the Telx Computers system and closely monitored through to its resolution. This ticketing system is just one of the many reasons why Telx Computers is consistently ranked as being among the top IT companies in Miami. Businesses hiring Telx Computers are also often highly impressed to learn that all Telx employees sign strict confidentiality agreements, which means that all highly sensitive data is safe when a Telx technician is working on a customer’s servers. It is this kind of attention to detail that gives business owners great peace of mind. Furthermore, it is the aim of Telx technicians not to receive any service calls at all. They work on servers and monitor them around the clock to ensure that, as far as possible, all issues are detected and fixed before they ever become evident to the end user.